A drought is a weather pattern with less than average precipitation over a prolonged period of time, ranging from one to many years. During the past one hundred years, there have been multiple droughts in this area, with the longest one lasting eight years. During drought years, the level of Lake Tahoe and other reservoirs along with the Truckee River decline significantly. It is during these times that Truckee Meadows Water Authority (TMWA) must use its drought reserves. Throughout the 1987 – 1994 drought, reserves were used in several different years to meet the community’s water needs. How does TMWA prepare for a drought? Planning for dry year water supplies has always been a high priority at TMWA. The extensive and detailed 2016-2035 Water Resource Plan adopted by the Board in 2009, compares the projected demands of the Reno-Sparks community to the worst drought on record, 1987-1994. The conclusion reached is that TMWA’s mix of water supplies is able to meet the demands of its customers through a repeat of this drought plus an additional year if needed – that’s one year longer than this region’s worst drought on record. Download the complete Water Resource Plan. What key elements are in TMWA's drought plan? Drought planning for the Truckee Meadows is complex because water for our customers comes from many sources: including Lake Tahoe, upstream reservoirs, the Truckee River and tributaries, and wells. Drought planning also includes treating surface water in order to pump it back into the Truckee Meadows aquifer during the winter. TMWA’s drought plan was created from research and knowledge of how these different sources of water are affected by drought and how they can be used to provide dependable water during a drought cycle. TMWA’s watering day schedule is an element of TMWA’s water management and conservation plans. It helps to manage water demand in both drought and non-drought years. It promotes the development of healthy landscapes that are able to withstand droughts or other water emergencies. This conservation program has also been successful in managing peak water use during summer months, thereby delaying the need for increased water treatment capacity. Converting all water customers to meters. This encourages customers to use water efficiently and provides a valuable tool to reduce water use during droughts. An agreement called “The Negotiated Settlement” allows up to 14,000 acre-feet of storage in federally-operated reservoirs for use during extended droughts. Changing water system operations so that well use is maximized during months of June through October, thereby delaying the use of surface water held in upstream reservoirs. Pumping more than one billion gallons of water during the winter months into the aquifer for drought storage. Operating our water treatment plants to use as much Truckee River water as possible. How much of the truckee river does the community use? 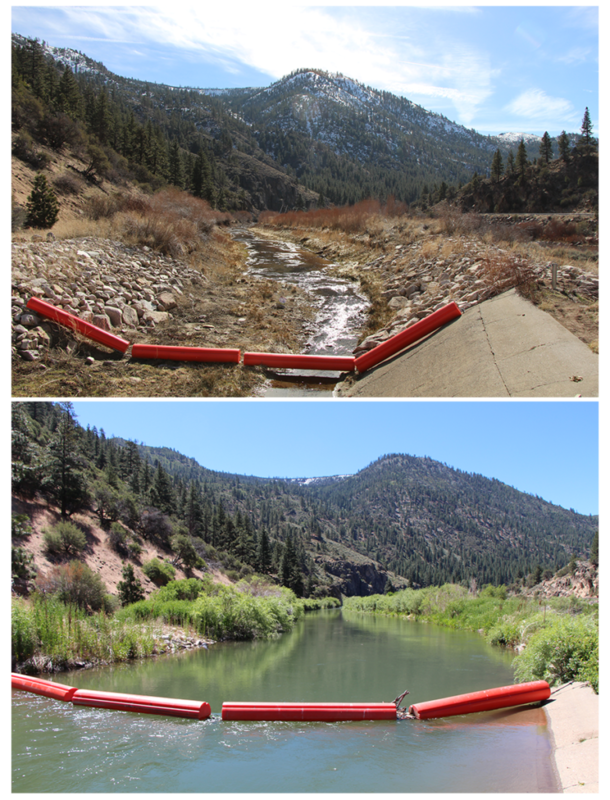 TMWA customers use a small percentage of the water in the Truckee River. In a nondrought year, we only use three percent of all the water flowing in the Truckee River. During a drought year, TMWA customers might only use eight percent of the water in the Truckee. The remainder flows to other downstream users including the Truckee-Carson Irrigation District, other irrigation users, and Pyramid Lake. Is the water homeowners conserve every day used for growth to build more houses or businesses? No. Some people mistakenly believe that when our customers use less water through conservation, the water saved is then used for growth. That is not the case. The unused water is retained for drought reserves, flows downstream to other users, or released to benefit river system health. In the future, as required by the Negotiated Settlement, TMWA will be able to store additional conserved water in upstream reservoirs in the event of a drought. Is TMWA considering other conservation methods, such as paying for grass removal? TMWA is always investigating new water-saving technologies and conservation programs. Any technology or program requires funding. Some communities may have developers pay for programs, and others may increase customer rates to cover program costs. Thus, a funding mechanism would be needed to pay for any program, including grass removal.